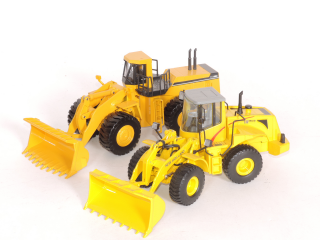 Joal and ROS 1:50 New Holland and Komatsu Wheel Loaders Near Mint. #ROS Italy, New Holland LW 190B. #Joal, Komatsu WA800. 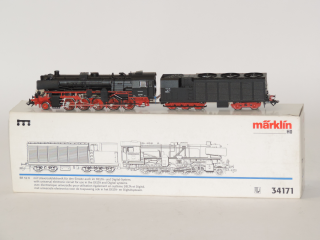 Marklin 34171 H0 BR 52 K Steam Condensation Locomotive Near Mint in Box. This item is Converted with ESU LokSound V3.0/V3.5. 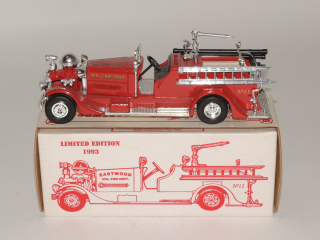 ERTL 9748 1:30 1937 Ahrens-Fox Fire Truck Bank, Eastwood Vol. Fire Dept. No.11 Near Mint in Box. 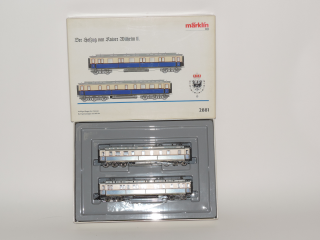 Marklin 2881 H0 The Imperial Court Train of Emperor Wilhelm II. Attendant's Car for Ladies. Near Mint in Box. 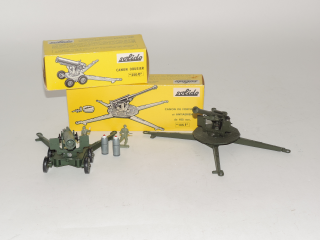 Solido 204 and 206 Vintage Canons Near Mint in Box. #204 Canon de Forteresse et Antiaerien 105 F mm without Grenades and toolbox. #206 Canon Obusier 250/0 with 2 Grenades en 2 not solido soldiers. 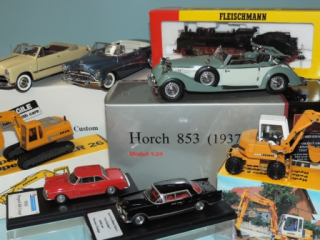 Fleischmann, I.M.U., Trix and Monogram Models, in Different Scales. 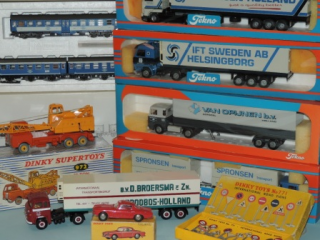 Fleischmann, I.M.U., Trix and Monogram Models, in Different Scales. 4x I.M.U. 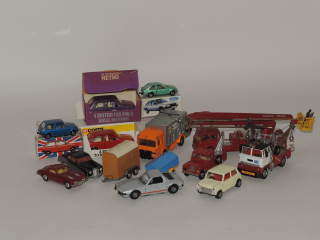 VW Models. 2x Fleischmann VW Golf. 1x Trix VW PTT Bus. 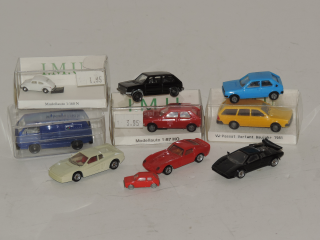 3x Monogram Sportscars. 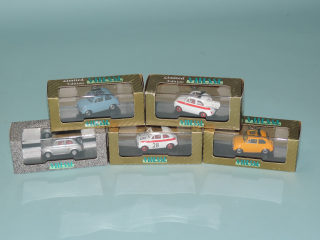 Vitesse 042C-L082A-L082B-L094B-L094C, 1:43 5x Fiat 500-Abarth, Mint in Box. #042C Abarth 695 SS 1964, Silver Metallic. 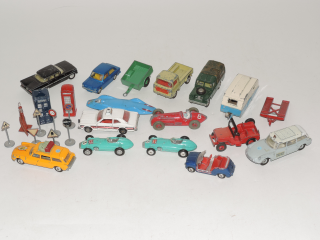 #L082A 500 Sport Road Version 1960, White. # L082B 500 Sport 12 Th Hockenheim 1958, Nr.28, White. #L094B 500 F Closed Roof 1965, light Blue. #L094C 500 F Open Roof 1965, Ocre Yellow. 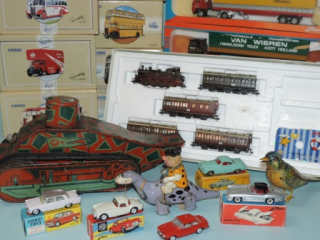 Dinky and Corgi Toys Vintage Model Cars, Different brands and Models in Good till Excellent Condition. 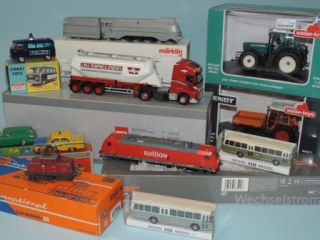 Dinky #232, #190, #25j, #42A, #341, #771 (7 from 12), #12c, #49, #556. 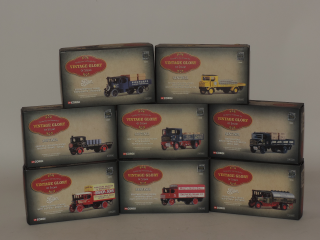 Corgi #240, #470, #153, #152 2x, #109 and 5 others. 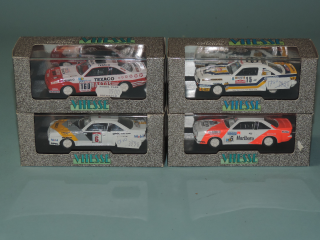 Vitesse 131-133.2-133.8-133.9, 1:43, 4x Opel Manta 400 Mint in Box. #131 Concrero 25 Th Ralley Sanremo '83 Nr. 15, White. #133.2 Marlboro Safari Rally '84 Nr.6, White. #133.8 Texaco-Bastos 7Th Ralley Paris-Alger-Dakar nr.160, White. #133.9 Marlboro 555 Rally Hongkong-Beijing '85 Nr.6, White. 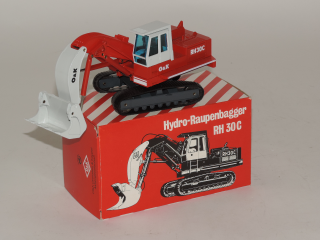 NZG 246 1:50 O&K Hydro-Raupenbagger RH30C Mint in Box. 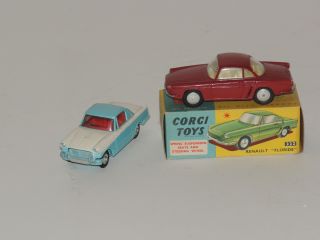 Corgy Toys 14 Different Models, 4 of them Boxed, Boxed models are Near Mint, Rest is Excellent. 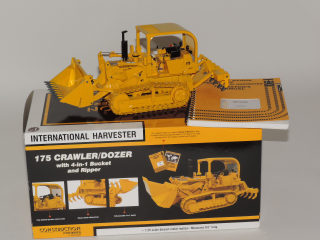 First Gear ZFG400147 International Harvester 175C Pay Loader Crawler/Dozer with 4-in-1 Bucket and Ripper Mint in Box. 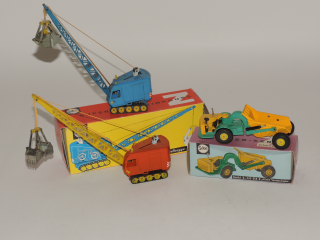 Scale 1:25, Operator´s Manual present. 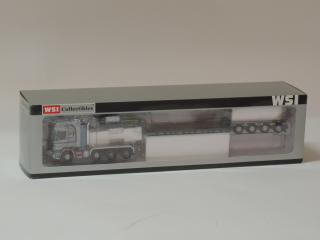 WSI 9228 1:50 Scania R620 Topline 8x4 with Euro Lowloader Near Mint in Box. 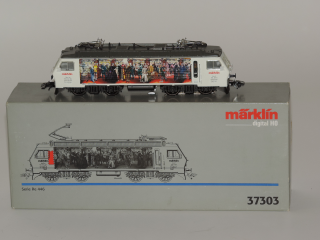 Marklin 48786 H0, 10 Years Production at Sonneberg Car Set DB Near Mint in Box. 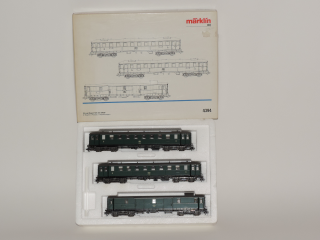 Marklin 4394 H0 NMBS/SNCB Fast Passenger Train Car Set Near Mint in Box. Used. 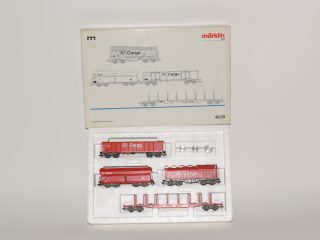 Marklin 46220 H0 DB Cargo Freight Car Set Mint in Box. 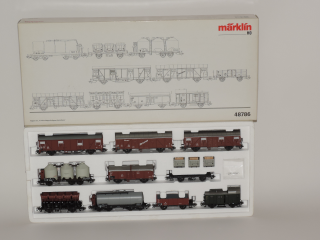 Marklin 37303 H0 Serie Re 446 E-Loc 150 Years Anniversary Switzerland Railways Near Mint in Box. 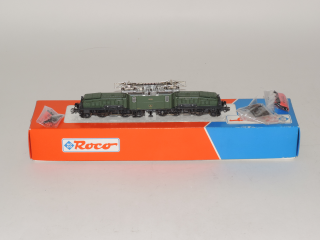 Item is Converted with Marklin 60760 Decoder Set. 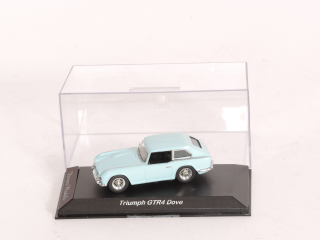 Derrez Models 1:43 Triumph GTR4 Dove, Mint in Box. 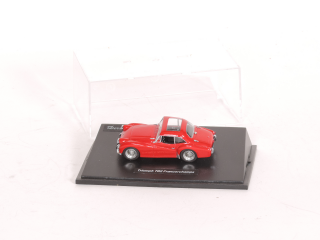 Derrez Models 1:43 Triumph GTR4 Dove, Mint in Box. Box self is Taped. Derrez Models 1:43 Triumph TR2 Francorchamps Near Mint in Box. 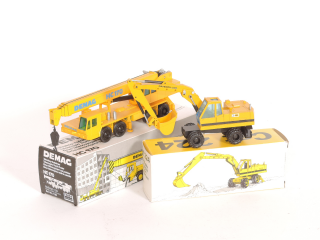 NZG 198 and 224, 1:50 Carterpillar Excavator and Demac HC170 Crane, both are Near Mint in Box.